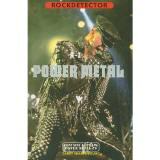 Power Metal is Heavy Metal taken to the absolute, surgically precise, limit. When the major Metal institutions staked their claim they engendered a whole legion of followers in their wake. These up and coming acts were not simply content to match the volume levels of their forefathers though. Riffs evolved into complex, labyrinthine proportions, vocals scorched higher altitudes and, yes, they even managed to crank out some more volume as part of the formula. Power Metal had been borne. The acceleration of aggression afforded by the Thrash Metal movement helped boost the rise of Power Metal. As the first wave of Thrash waned a ready audience of Metal fans lay waiting for something just as heavy but with sophistication. The British guard such as Iron Maiden and Judas Priest had opened the door, now a whole flood of American Metal flooded through - Attacker, Jag Panzer, Iced Earth, Savatage and Queensryche. In Europe bands rooted in Thrash matured at an alarming rate with Helloween, Gamma Ray, Blind Guardian, Running Wild and Grave Digger establishing lengthy careers. In latter years Power Metal itself has branched off on its own evolutionary trail spawning Symphonic Metal and Progressive Metal. A recent upsurge in the fortunes of bands such as Sonata Artica from Finland, Angra from Brazil and Rhapsody from Italy and illustrated just how global the reach of Power Metal has become. Cult acts from the 80s have been reforming at an alarming rate in order to cope with demand. 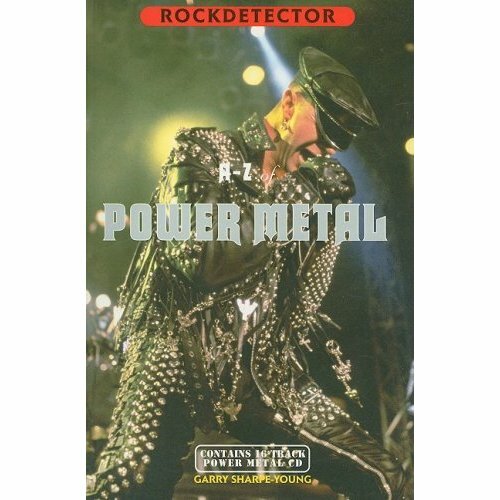 This book documents the full scope of the world-wide Power Metal phenomenon, tracing the lineage of the bands that paved the way, the first 80s wave of bands, the stoic survivors and the new breed and the myriad of spider web like side projects. All with exhaustive, unique histories and detailed discographies.